Paros is an island of the Cyclades group (South Aegean sea), located between Sifnos and Naxos. 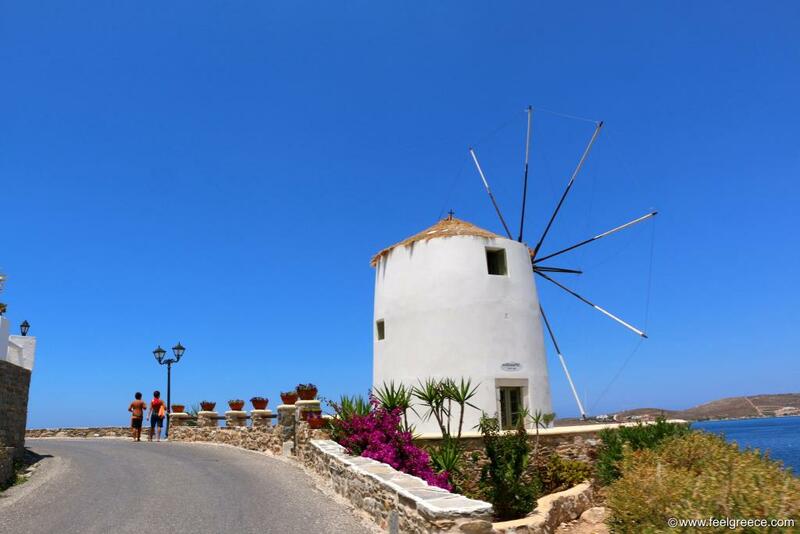 It is one of those places which can offer something for everyone - sandy beaches with and without facilities, picturesque fishing ports, windmills, a bit of nightlife and plenty of dazzling white buildings. How to describe Paros in three words? The island has a small airport for charter flights, mainly from and to Athens. You can also reach it by ferry from the ports of Piraeus and Rafina and the journey takes from 3 to 4 hours, depending on the boat type. In the summer the connections are quiet regular, a few times daily. 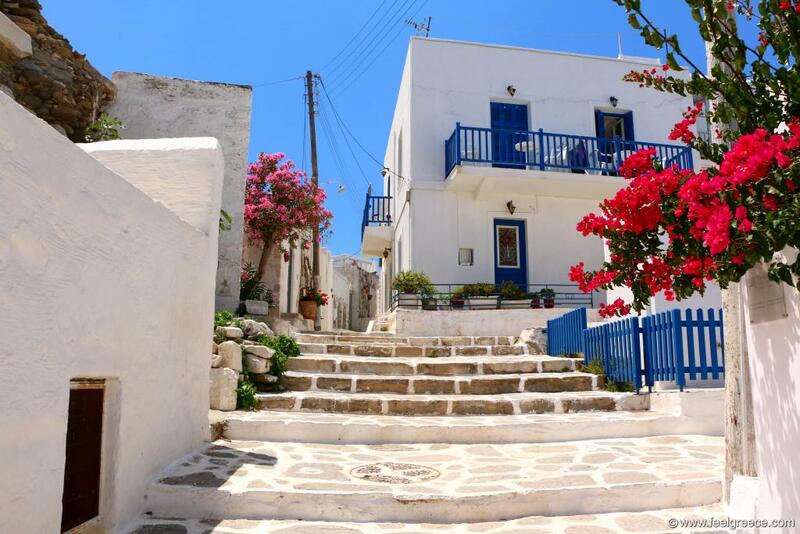 The main village is Parikia, also known as Paros Town. This is the place where ferries arrive and depart, with many hotels, restaurants and public services. The second largest settlement is Naoussa, a picturesque fishing village in the north. Almost all photos of Paros you have seen on the web are from the harbor of Naoussa and its old town with the small labyrinth-like alleys, cozy little bars and shops for hand-made souvenirs. Popular seaside resorts which can be described as villages are Piso Livadi, Logaras and Aliki, the rest are rather beaches with accommodation and food facilities. 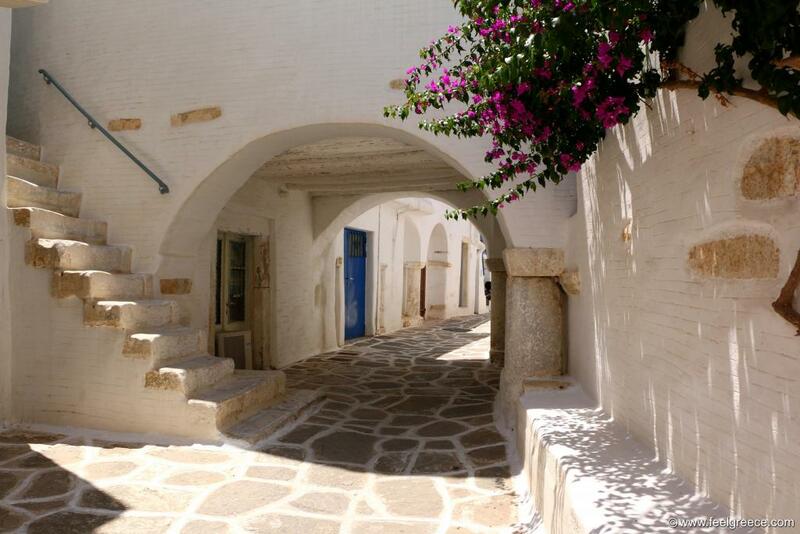 In the inner part of Paros there are a few old villages with typical for the Cyclades architecture and preserved old houses (a walk there is highly recommended). Are there nice beaches on Paros? Yes. Although small, the island is blessed with plenty of sandy beaches, some of them with beach facilities and water sports, others almost empty. Among the organized beaches popular are Chrissi Akti, Santa Maria, Livadia and Kolympithres. 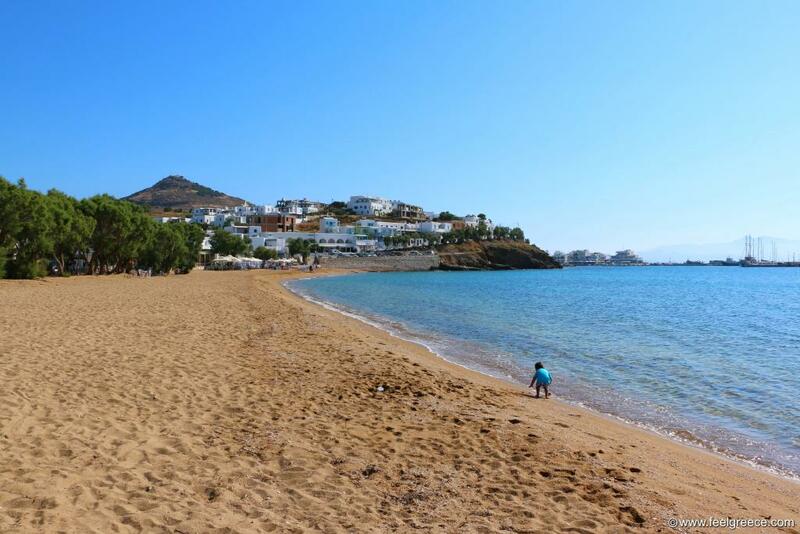 If you prefer smaller and quieter beaches, visit Aliki, Logaras or Farangas. If you seek isolation, Molos, Kalogeros and Glifades are just for you. Depending on the wind direction (the meltemi wind is often present) you can always find a sheltered cove in some part of the island. Don`t worry about time, distances are short and traveling is quite easy here. Kite surfers will be happy at Pounta beach. 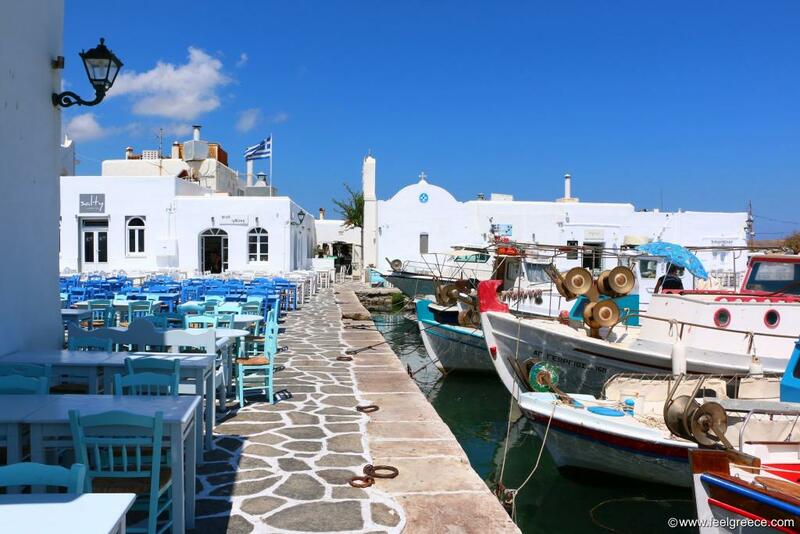 What to see in Paros? - Naoussa with its old harbor, old town and Venetian fortress at the harbor. If you are not accommodated there, keep in mind that Naoussa in the day is much different than Naoussa at night - see it for yourself. - The old town of Parikia with the Frankish castle. - The Monastery of Agios Antonios near Marpissa - it has panoramic view over the entire island. - The villages of Lefkes and/or Marpissa. - The Valley of the Butterflies, nature park close to Parikia. - The tiny isthmus at Langeri beach (northwest). - The ancient marble quarries at Marathi. What to eat in Paros? Like all islands, Paros cuisine emphasizes on sea food and fish specialties, along with classic meat and vegetable dishes. You can see octopuses drying in the sun in front of many tavernas and we noticed that the octopuses of Paros look fatter than those we have seen elsewhere in Greece. What activities to do in Paros? 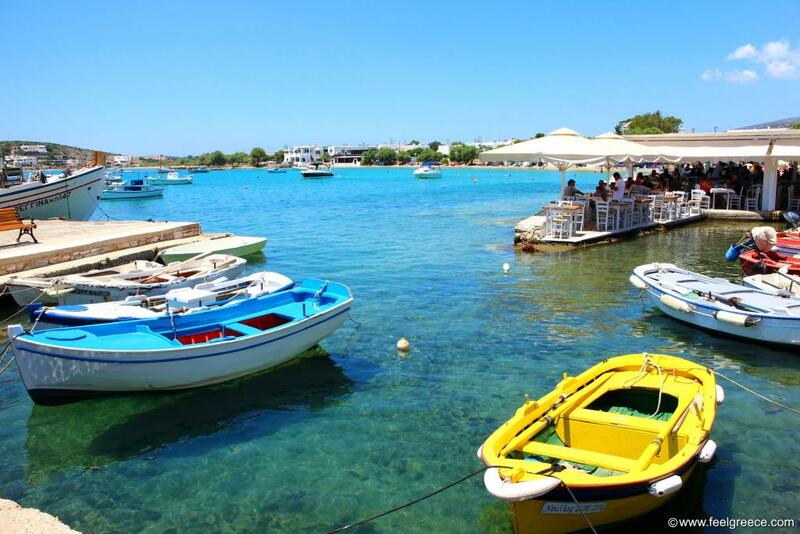 A day trip to Antiparos is a must, it takes only 15 mins to get there by boat. Also, there are organized day trips to the historical Delos combined with a few hours on Mykonos, to Santorini and to the Small Cyclades (Koufonisia, Iraklia and Schinousa). Since Naxos is at a close distance, you can visit it for a day if you take and morning ferry and come back in the evening. We did like the vibe of Paros, and our son found it very funny to run between the houses in the narrow alleys of Naoussa and Parikia. He saw so many octopuses and windmills for such a short time that we had to talk about them most of the time. 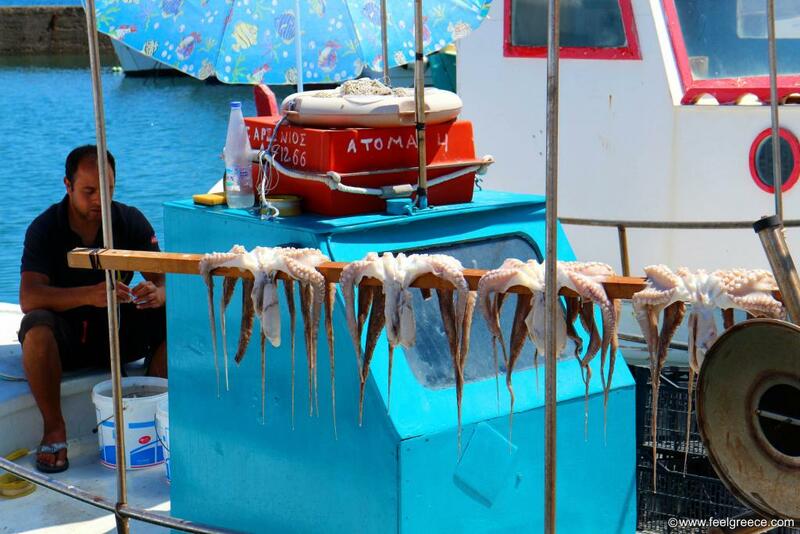 And even now, if he sees a photo of Paros he exclaims "Oh, there are the octopuses! And the windmills!". We stayed in a beachfront hotel at Logaras which turned out to be very suitable location to explore the island during the day, like the neighbor Piso Livadi. The beach of Logaras was good enough for digging up in the coarse sand but if you want to make really nice castles you should visit the beach of Aliki - the sand there is so soft and fine that it looks like clay. Aliki is good for a lunch as well, with a couple of seafood tavernas right next to the beach, among the fishing boats (if you come by boat, you can moor it just beside the tables).